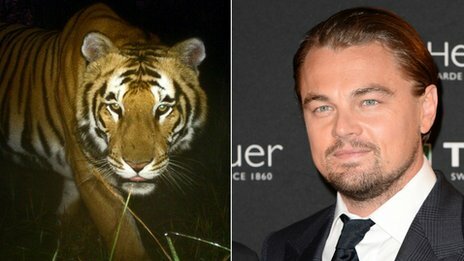 Hollywood Star Leonardo DiCaprio Nepal’s Interest : Donates $3 million to World Wildlife Fund to Save Tigers in Nepal. Hollywood Superstar Actor Leonardo DiCaprio through his foundation has donated $3 million to World Wildlife Fund to save tigers in Nepal for supporting Nepal’s attempt to protect and nurture tigers in the country. His statement is given below as the same. The Great Gatsby star made the donation to the World Wildlife Fund (WWF) via his charitable foundation. The DiCaprio Foundation (WWF) aims to protect “Earth’s last wild places and foster a harmonious relationship between humanity and the natural world”. Leonardo DiCaprio Nepal Interest, super star Leonardo DiCaprio Nepal’s Interest, Hollywood star Leonardo DiCaprio Nepal’s Interest, Hollywood actor Leonardo DiCaprio Nepal’s Interest, Hollywood popular actor Leonardo DiCaprio Nepal’s Interest, WWF and Leonardo DiCaprio Nepal’s Interest, Save tigers in Nepal: Leonardo DiCaprio Nepal’s Interest, Save tigers in Nepal projects on Leonardo DiCaprio Nepal’s Interest.